Does anyone else get sick of doing the same old stuff with their little ones? We tend to rotate between playgroup, the park, swimming lessons and play dates. And then, there is this period over the holidays when all of our usual activities close. How on earth am I meant to fill our days? Don’t they know I totally rely on these activities to get me through? 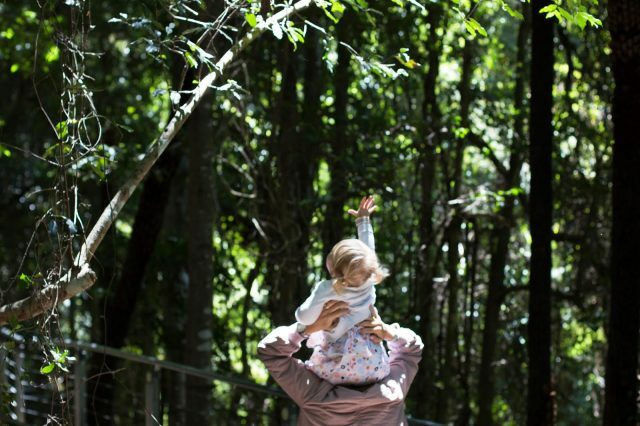 So, to break up the norm, last weekend we ventured to the Blue Mountains on a little day trip to Scenic World. I hadn’t been there since I was a teenager, so I was excited to take Eva and watch her experience it all. Also, sometimes it’s just so nice to have a little bit of a scenery change and escape the city for the day. There’s nothing like a walk in the lush rainforest to recharge. The car ride from the city is only an hour and forty minutes so we set off just after breakfast, armed with toys and snacks for car distractions. 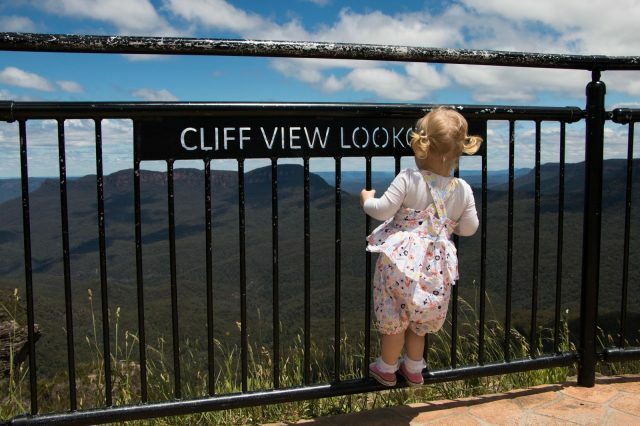 In true Eva style, she fell asleep ten minutes before we arrived, so we went for a casual Sunday drive through Katoomba and my favourite, Leura. Once the little babe had woken up, we set off ready for our little adventure. I’d explained to Eva we were going for an adventure that day and the minute she woke up, she opened her eyes and said “READY GO”. 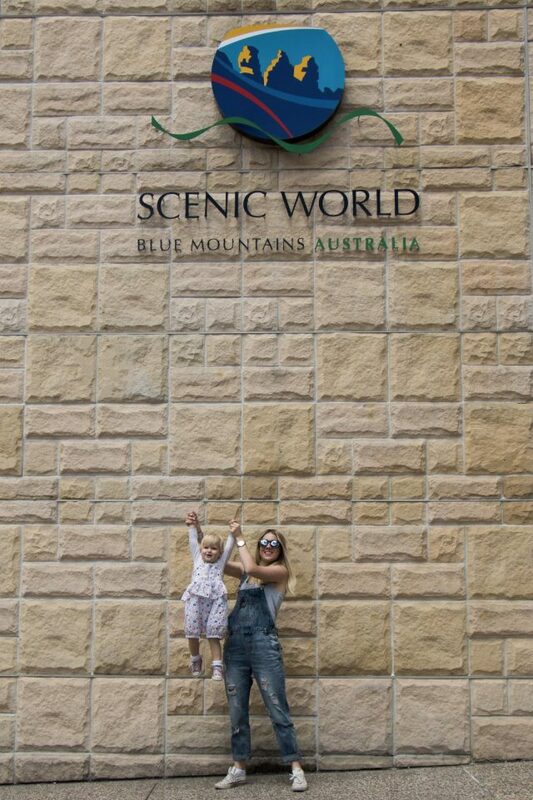 Now, as I’m a little bit of a planner, I had of course checked out the Scenic World website the day before to work out a plan. A little tip, they have these really helpful itineraries online depending on what type of adventure you’re after. We opted for the Family Fun adventure. 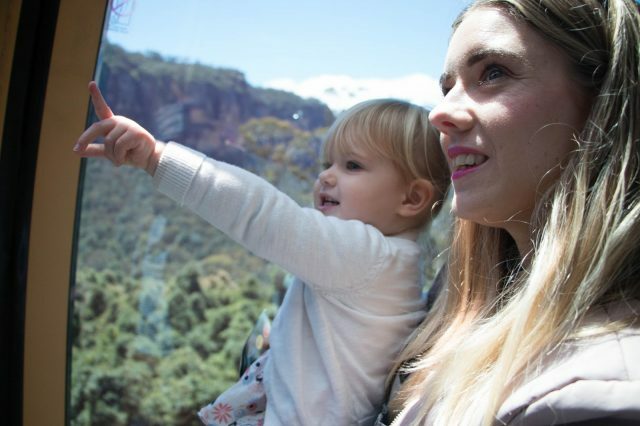 The first ride for the day was the Scenic Cableway, which took us 510 metres down into the Jamison Valley. 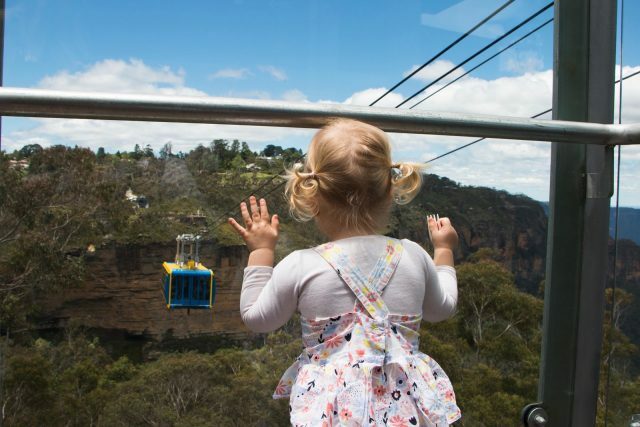 From the cabin of the cableway you can take in the magical views of the Three Sisters, Orphan Rock and Katoomba Falls. Once at the bottom of the Valley we set off on our first little rainforest walk. We left the pram up in the pram parking bay so we could let Eva walk everywhere, so we decided to just do the 20-minute walking track and see how she went. Everything is sign posted so well, and there really is an option for everyone with walks ranging from 10 minutes up to 50 minutes. This walk probably took us about 30 minutes walking at toddler pace and stopping to look at all the beautiful trees and listening to the birds. If you have one of those kids who’s a bit of a runner, like me, Scenic World is the perfect safe option as it’s all completely fenced off. This gave me great peace of mind, as I knew if she ran ahead a little bit, she was totally safe at all times. And when she got tired of walking, on the shoulders she went. After our walk through the rainforest, we decided to go back up the mountain on the Scenic Railway. This was definitely one of my highlights of the day. The railway has a 52-degree incline and is the steepest passenger railway in the world. You can also change the incline of your chair if you’re after a bit more of a chilled ride whilst you take in the views. 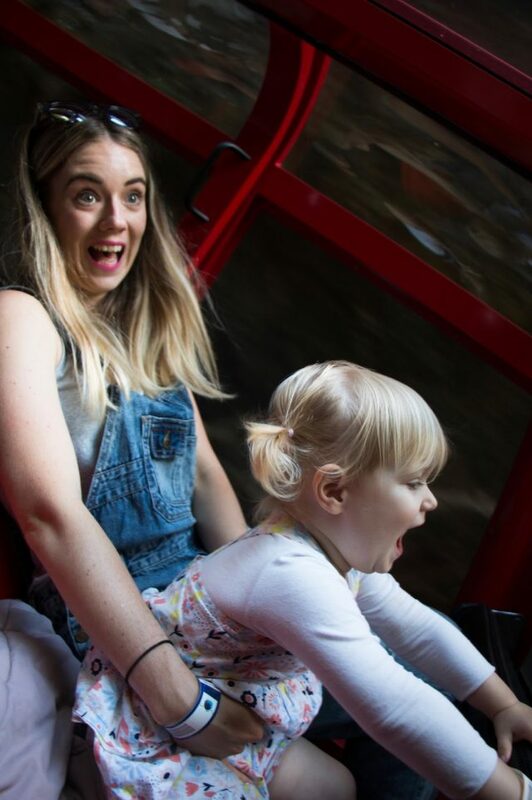 Being the thrill seeker she is, Eva absolutely loved this ride, her favourite part was going through the dark cliff-side tunnel. Once we were back up the mountain it was definitely time for lunch at Eats 270. Even though it was quite busy here at lunchtime, our food came out quickly, which was lucky as we were all really hungry after our morning adventure. One hot tip, try and nab a table outside on the balcony if you can. It’s nice and quiet out there and what better way to eat your lunch than soaking up those views. The final thing we had on our list to do for the day was riding the Scenic Skyway. Lucky for us, the Scenic Skyway had just re-opened following a massive upgrade. Okay, a little confession to make, I am slightly scared of heights, but for some reason, I was totally okay on the Skyway. I think as I was watching Eva enjoy it the whole time, it was a great distraction for me! Plus, gliding between the cliff tops and the rainforest canopy is kind of special. Once we were on the other side, we went for a little walk to the lookout point over the valley. The Skyway operates every 8 minutes, so this was the perfect amount of time to just stop and check out those views. Upon returning to the other side, it was time to go home. 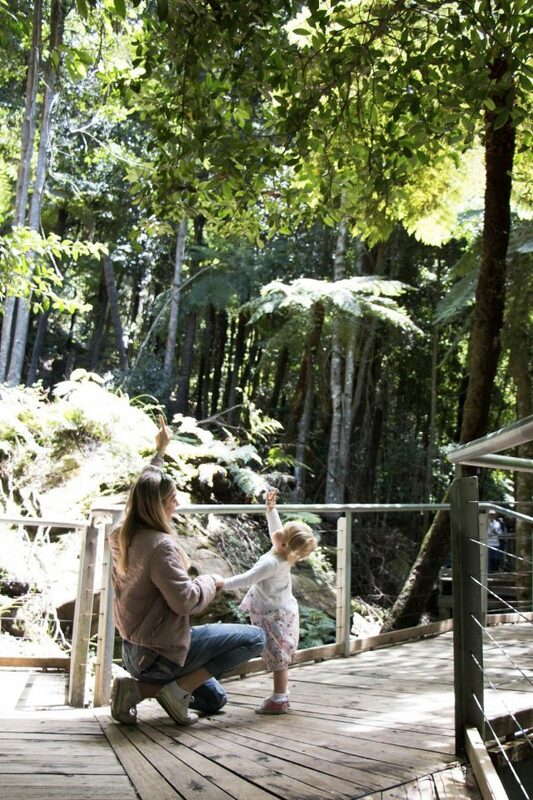 If you’re looking for something to do this school holidays, Scenic World is definitely the ultimate family day out. 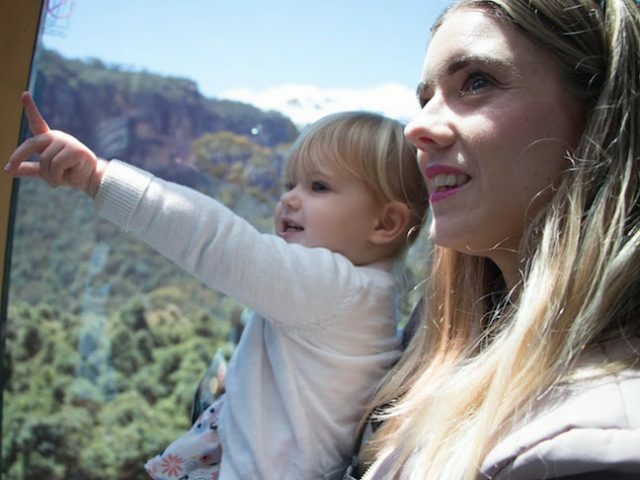 With free onsite parking, unlimited rides and plenty do to for everyone, it was a total winner for us. And, what would you know, Eva slept the ENTIRE drive home. We will be back for sure!